Born and raised in South Florida, Dane concentrates his practice in the areas of civil litigation, marital and family law, and real estate law which includes condominium and homeowner association law. 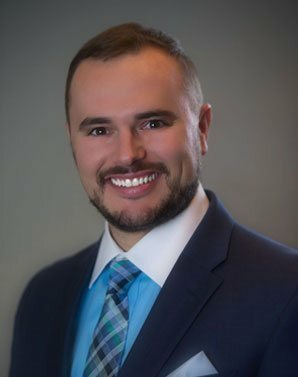 Dane’s passionate representation of clients is based on his ability to quickly understand the dynamics of a dispute and then bring it to closure using the right combination of aggressive representation, finesse, sound advice, and counseling. While Dane promotes problem-solving to avoid expensive litigation and minimize costs for his clients, when necessary he is a dynamic and effective trial lawyer. “Social Media Evidence and Other Developing Concerns” Marital & Family Law Review Course, 2016, co-author. "Can't We All Play by the Same Rules?" ActionLine, A Publication of The Florida Bar Real Property, Probate & Trust Law Section, Summer 2014. “The Death of the Pet Restricted Community” ActionLine, A Publication of the Florida Bar Real Property, Probate & Trust Law Section, Volume XXXV, No. 2, Winter 2013-14. “Is A Reverse Mortgage Right For You?” BP Community Update, Vol IV. 2011. “Honest Services Fraud After Skilling v. United States” Engage, The Journal of the Federalist Society’s Practice Groups, Volume 12, Issue 3, November 2011. (Assisted research and draft article for Professor Steven Wisotsky).